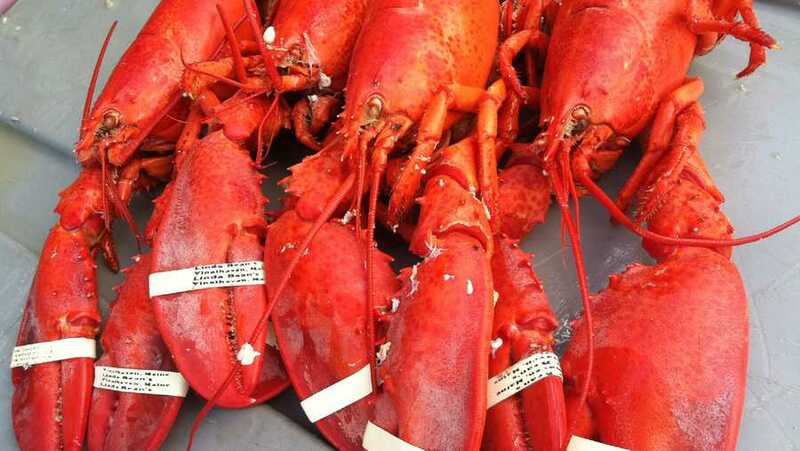 Members of the lobster business fear a looming bait crisis could disrupt the industry during a time when lobsters are as plentiful, valuable and in demand as ever. America's lobster catch has climbed this decade, especially in Maine, but the fishery is dependent on herring - a schooling fish other fishermen seek in the Atlantic Ocean. Federal regulators are imposing a steep cut in the herring fishery this year, and some areas of the East Coast are already restricted to fishing, months before the lobster season gets rolling. East Coast herring fishermen brought more than 200 million pounds of the fish to docks as recently as 2014, but this year's catch will be limited to less than a fifth of that total. "If you don't have bait, you're not going to fish. If the price of bait goes up, you're not going to fish," said Patrice McCarron, executive director of the Maine Lobstermen's Association. "We have to take the big picture, and make sure our communities continue to have viable fisheries." The cut in the herring quota stems from a scientific assessment of the fish's population last year by the National Oceanic and Atmospheric Administration's Northeast Fisheries Science Center. The assessment found a below-average number of young herring are surviving in the ocean. The loss of herring has sounded alarms among scientists and conservationists, because the fish also serve a critical role in the ocean food chain and they're valuable as food for humans. It's unclear exactly what factors are causing young herring to fail to survive to maturity, said Jonathan Deroba, lead assessment scientist for herring with the Northeast Fisheries Science Center. He said it's "premature to predict the sky is falling," though he added the herring population could be suffering from multiple stresses at once.